Club Penguin is going Frozen. Disney's kid-friendly online community full of snowbound games and adventures is hosting a Frozen Party today through September 3. 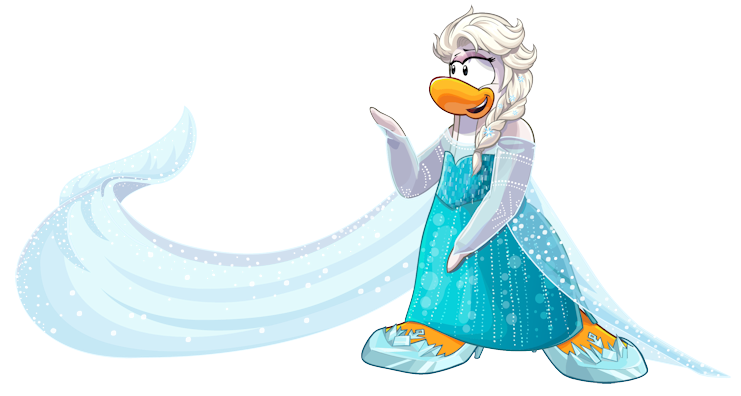 Members will be able to dress up their penguin personas as characters from the film like Olaf, Sven, Anna, Elsa and Kristoff. They can also completely transform into the good/evil snowman of their choice, Olaf or Marshmallow, after locating a requisite amount of magical snowflakes that Elsa has hidden around Club Penguin Island. 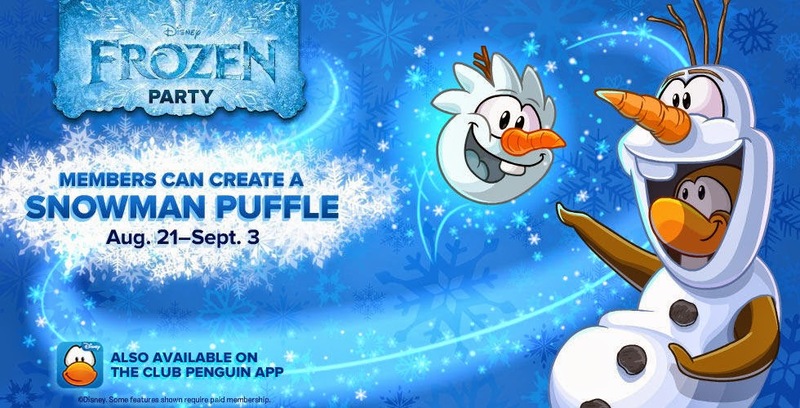 Oh, and if you want to build a snowman puffle (the resident pets of Club Penguin) you can do that as well. Build and decorate your own Ice Palace igloo. Elsa's working on her own which should be completed in about a week. I suspect there will be "Let it Go" music of some kind when it's done. To find out more about Club Penguin, visit www.clubpenguin.com.